The community is already working on an Android Nougat with dual boot: fact or fiction? 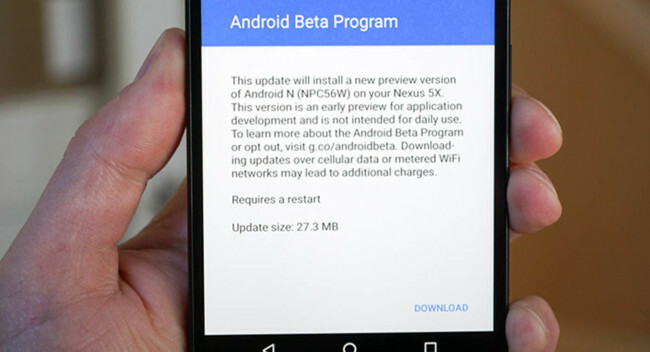 One of the great revolutions of Android Nougat is that it brings a system updates in which you should not expect seeing how suddenly the progress bar gets filled when you install an OTA, that is to say, that to apply a system update you will not have to wait for minutes and more minutes, just restart the device and ready. This works because the system would have copies of the two most important partitions (/boot, /system, /data, /recovery and /cache), so that one of the copies of each partition is active and the other remains in the background. It is to the latter that would install the update, specifically in the /system partition, so that you can continue using your phone. once the update is installed, the system alerts you and you have to reboot the device without having to look at how the device is updated while you get blind to popcorn, and enjoy the OTA is clean, beautiful and healthy. Now, this has a problem, and that is that this type of updates would only be available on devices that leave the factory with Nougat. apparently, the limited storage makes that not all phones may have an additional copy of each partition, although I would like to see in terminals that come out of the factory with Marshmallow and receive a Nougat, with a storage generous (minimum 32 GB) receive an additional copy of each partition to take advantage of this system updates in the future, even though it’s just the security patches. One of the heads most visible of the Team Win Recovery Project (our dear recovery TWRP of all life, known as Dees_Troy, predicts that the developers will be able to transform those copies of the partitions so that it is possible to a sort of dual boot. 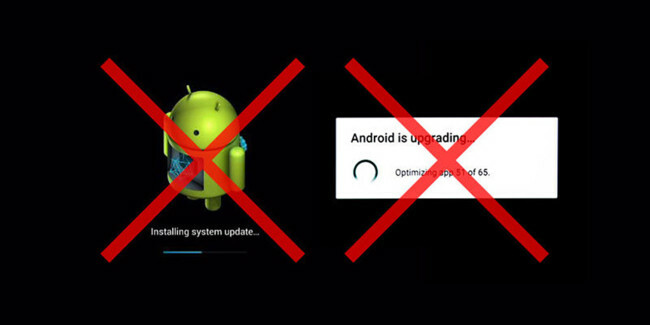 If they were to “modify” these copies to provide a dual-boot, will also be able to clone the system updates that have Nougat on devices that have left the factory with this version of Android, which could make, for example, the ‘Nightlies’ of CyanogenMod to be updated with much more agility, without having to go through the recovery. And this same could be applied to the rest of the ROMs, so that you wouldn’t need to be entering the ‘recovery’ each time to install again the ROM on a newer version that will have only a few improvements or modifications. At this point, the friends of the flasheos would be a lot more happy. The new system updates Nougat could be implemented in the custom ROMs, and even could do that we could have two ROMs or different two systems oeprativos in the future. Now, could this mean that we will have a dual-boot as such? The thing is quite difficult, because we must begin from the fact that each operating system is radically different from the others, so perhaps this dual-boot operating systems is still a little far away (I say a bit because it will take some time, but it can be done, see, but the HTC HD2). yes, much closer would be to think about the possibility of a dual-boot between ROMs, so that we could have the stock ROM on one side and Android pure or a custom ROM for another, being able to switch between them with a simple reboot. It seems that, despite the efforts of Google by impeding the root, gives unintentionally the possibility of a dual-boot developers. what Could lead to problems with the dual boot at the time of the updates? At this point I’m going to clarify one thing, and that is that I am not a developer, so is it possible that you pass me more of a detail to take into account. Seeing that the new system updates Nougat makes use of the copy of the partition, it occurs to me that if you use that ability to dual boot to run the other ROM (or operating system in the future something more distant), when updates are applied, there could be drawbacks. Possibly already see where I want to go, but if not, I explain it easily. Let’s say that, on the one hand, you have CM14 and, on the other, other custom ROM. You want to install the new ‘Nightly’ of CM14, and as it is equivalent to Android Nougat, you would use the updates in the background, but the partitions that I would use are occupied by another ROM. Then only we would re-use the traditional method of going through the recovery and, therefore, have to wait, and cancelled the advantage of the updates in the background, although with the gain of having another ROM (either by tasting it or by having a number of additional benefits). Also there could be some kind of incompatibility from the time of receipt of these updates to be busy, the extra copy for another ROM, although normally it would be to download the ROM and install it through recovery. Be that as it may, the possibility of a dual boot it has opened so many doors. What do you think about this possibility? The news The community is already working on an Android Nougat with dual boot: fact or fiction? was originally published in Xataka Android by Santiago Luque .